I love integrated amps as a concept. I have owned quite a few, including a couple from McIntosh, a couple of Creeks, and maybe the best kept secret in Audio: the Joule-Electra VAMP. The VAMP was such a well kept secret that in the end it was discontinued; what a pity. 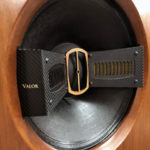 I have always thought a well-designed integrated amp built throughout with high-quality parts should provide better performance at a much better price than an amp and preamplifier of the same design, though it seems this was seldom done until lately. An integrated amp takes up less real space, requires one less interconnect, one less power cord, and most importantly, you don’t have to worry about system matching for the amp and preamp. Just the money you save from the cables can be of great use in building your system. The first thing most people comment about my system is how simple it is. Well, I like it that way and if you’re like me and prefer to keep things as simple as possible, then a good integrated amplifier might be just the ticket for you. The Canadian company Oracle Audio Technologies was founded in 1979, and has been satisfying the passionate desire of audiophiles around the world. Oracle had earned a reputation for quality high-end products. When I think of Oracle I think of futuristic turntables that are beautiful to behold and listen to. 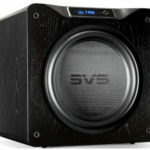 As the years passed, they have expanded from producing turntables to include some innovative digital playback gear, and now they have come out with an all-out assault on amplification. Oracle seems to be a high motivated company with a desire to build avant-garde high-end gear. 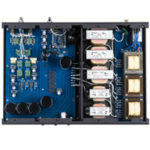 When I unpacked the $9,250 SI 1000 integrated amplifier, I was a little surprised. Now don’t get me wrong, it shouts class in the same way that Mark Levinson or Krell gear does, but I had expected something more ‘out there’ from Oracle. It has an exquisitely lacquered hand-brushed aluminum chassis that shouts out “I’m expensive”. Each corner has beautiful finished columns that support the chassis and elevates it. I was disappointed not to find any spikes or place to screw spikes into these columns. That would have been useful for using the amp on the floor. The front panel has a nice oval display that was large enough to be easily read from my listening chair. The front panel also has six buttons, so you select INPUT BYPASS (for use with a surround-sound processor or as a power amp), VOLUME, MUTE, or put it in STANDBY. It also has nicely curved lines, but all in all it’s just a bit traditional looking to have come from Oracle. On the back panel, you find a pair of the really nice Cardas rhodium-plated binding posts and a single set of balanced inputs for any balanced source. All the rest are single-ended inputs for a CD player, a tuner, and another for a source like a DVD player or such. It also has single-ended jacks for BYPASS, TAPE IN, and RECORD OUT. There are also single-ended connections for using it as a standalone preamplifier or in a biamp configuration with a separate power amp. You also find on the back panel an on/off power switch, but that is not an inconvenience since during daily use you can use the standby switch. The Oracle SI 1000 comes with an aluminum remote control made from the same brushed-metal as the amp and it also has the nice lacquered finish. Thank goodness, the remote is a reasonable weight and size. I found it to fit comfortably in my hand without feeling plastic and cheap or so heavy that I would come to hate it. It also has nice rubber feet attached to the bottom to protect your furniture and to keep it from sliding around. The remote controls the volume, MUTE, INPUT, STANDBY and BYPASS functions, and it can also control Oracle Audio CD players and CD players that use the RC-5 code set. It also has a button designated SPEAKER OFF that disconnects the speaker terminals if the SI 1000 is being utilized strictly as a preamplifier; a very nice touch. In this day of digital and chip amps, I was delighted to see the Oracle had chosen for the SI 1000 to be a large, solid class A/B, solid- state, dual-mono integrated amplifier that pumps out around 200 watts; yet even when playing music at very high volumes, the Oracle SI 1000 remained cool to the touch. It has a wonderfully useful variable digital volume control from Cirrus Logic that ranges from 0-60 in half-step increments. I loved this feature of the amp for getting the volume just right from the nice remote. I have used the Oracle SI 1000 with the B&W 805S, Genesis 7.1P, Teresonic Ingenium Silver and Integrum JL, and WGA Ikonoklast model 3HO. I used it with both red book, SACD, DVD, and Blue Ray digital sources. These were the Audio Note DAC 5 Special, the Oppo, and the Slim Device Transporter. I listen to it in two different rooms in both music only systems and for my video system. I used it with vinyl with both my Shindo preamp and the Musical Surroundings SuperNova phono preamp. I used it with the Shindo power cords, the special Shindo power cords, the stock power cord, the Audience power cord, and the Teresonic power cord. I gave it a good workout with enough different equipment that I honestly think I have a real feel for what it sounds like. Listening to this amp has been more than a little bit interesting. It’s been a while since I’ve spent much time listening to really high quality sand amps or preamps. This has really been a learning experience. For example, the detail is just incredible. It’s easy to see how someone could get pulled into this kind of detail. Likewise, the imaging is so different from what I’m used to. Compared to my reference amp and preamp that sell for $41,000, the Oracle SI 1000, which sells for one forth the price, sounds very good and very different. Yes, I still prefer the sound of the Western Electric 300B’s to the sound of solid-state. Now, how many of you find that a big surprise? The surprise was how much I enjoyed listening to the Oracle and I found it to be really transparent at any price point. In comparison to the Roksan Caspian M-1 which cost only about one third as much, it also sounds different. I still stand by my statement that the Roksan Caspian M-1 has more bloom than I thought was possible for a sand amp. 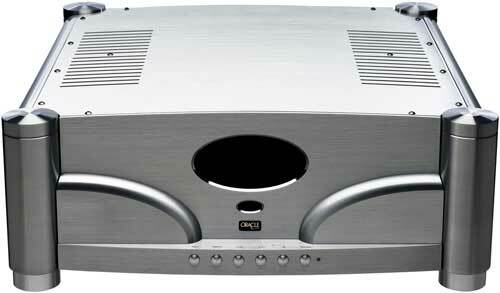 The Oracle SI 1000 is not as warm and does not have the bloom of the Wavac or the British integrated amp. On the other hand, the Roksan isn’t nearly as refined sounding, as detailed, as powerful, as three-dimensional, nor does it present as big a soundstage. The Oracle SI 1000 delivered an expansive soundstage that is both wide, deep, and high. It allows you to enjoy music with precise 3-D imaging and a real sense of focus. It possesses a transparency that allows musical details and cues to be easily heard. This gives the Oracle SI 1000 a real sense of palpability that results in images stunningly realist. I enjoyed and was somewhat taken aback by how good the Oracle SI 1000 sounded at low levels. I like to do a lot of listening late at night and our house is small enough for this to be a problem at realistic listening levels. With some amps, listening at low levels means losing detail and any sense of life the system has. Thank goodness this was not so with the Oracle SI 1000. During the day though, when I’m often home alone, I love to crank it up to what I feel are realistic levels. I promise you: The Oracle SI 1000 can do this with pure effortlessness. 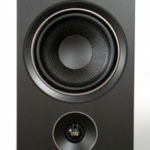 Regardless of which speakers I was using, they never sounded congested, compressed, nor did the soundstage ever collapse. In comparison to either the Shindo/Wavac combo or the Roksan Caspian, the tonal balance of the SI 1000 is slightly cooler. It seems to emphasize, all be it in a beautiful way, the top-end of the sonic spectrum. Don’t think I’m saying it’s bright-sounding, not at all. The top-end was reproduced smoothly and beautifully with effortless extension. Triangle, cymbals, and flutes all sounded very realistic. You just noticed them a little more than on either of my other amps. Again, this is a sound I found very easy to like. Again, I want to warn you not to think because of what I said about the tonal balance that the SI 1000’s midrange lacks any sense of liveliness. The midrange had no sense of leanness or edginess. In fact, I thought saxophones sounded exceptionally velvety, and I found this very captivating; horns came across as brassy and vibrant without being bright; a trick that is difficult to pull off. The bass of the SI 1000 was deep, effortless and really packed a punch. In fact, it was more visceral than my Shindo/Wavac reference. Both drums and basses were portrayed powerfully, without sounding the least bit boomy. Of course, with all its power it delivered this kind of bass at volumes that I could not stand for long at a time. Bass like this enhances one’s enjoyment of all genres of music, be it classical, jazz, blues, and of course ‘rock and roll’. However, I do have a nit to pick with Oracle about the SI 1000: it has no phono stage! It doesn’t even have one as an optional upgrade. How does this happen from a company that most people know as a turntable company? I know they have a wonderful, standalone phono stage, but for this kind of money I would have liked a built-in one. After auditioning the Oracle SI 1000, putting the Wavac EC300B and Shindo Masseto back into the system proved to be revelatory on more than one level. As you read the comparison, you need to remember that the Wavac/Shindo combo cost a cool $30,000 more than the Oracle and only produces eight watts per channel. Having said that, my first thought on putting them back into the system was: “Wow! the Oracle was really good.” Now don’t miss read what I just wrote. I didn’t say the Oracle was better. I said it was really good.